December 2018 – Bakersfield, CA: During fueling of a CNG truck, one or more cylinders ruptured, destroying both the truck and the CNG station. The truck driver was also seriously injured. This information is being provided as a courtesy of NGVi and does not replace in-depth training or constitute legal advice of any kind. 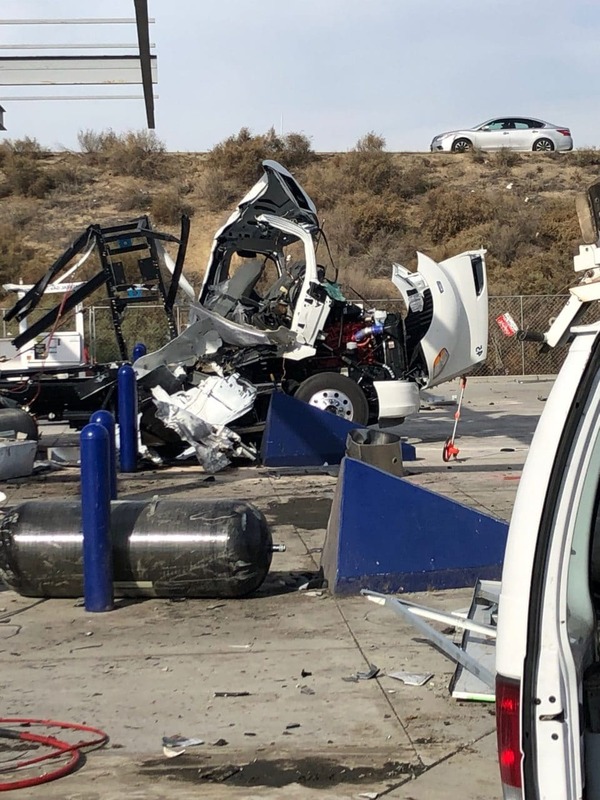 December 2018 – Bakersfield, CA: During fueling of a CNG truck, one or more CNG cylinders ruptured, destroying both the truck and the CNG station. In addition, the truck driver who was fueling the vehicle was injured. The official cause of the incident has not been released. Could this incident have been prevented? Most CNG cylinder rupture incidents occur during fueling, and all known ruptures in the U.S. prior to this incident have resulted from undetected CNG cylinder damage. a Detailed Visual Inspection performed every three years or 36,000 miles, whichever comes first, and after ANY fire or accident. For more information about CNG fuel system inspection requirements, click here. All CNG Fuel System Inspectors must be trained and qualified, and NGVi recommends certification for these inspectors as well to obtain measurable evidence of their ability to complete the inspection according to all codes, standards and industry best practices. NGVi’s offers ASE-accredited training courses that cover the full spectrum of knowledge and skills required for technicians to be able to work safely on and around natural gas vehicles. For more information about training related to this subject, click here.